Building a custom: Street Rod? Resto-Mod Truck? Popular conversions today use the Panther platform front sub frame and running gear often taken from the Crown Vic and it's cousins. 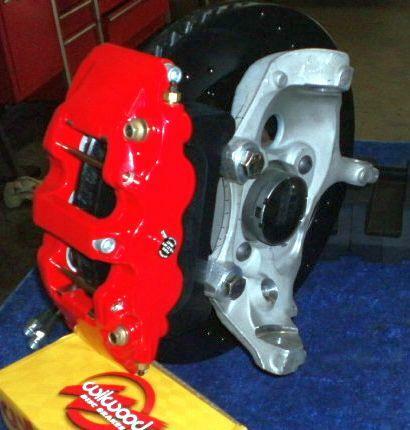 But until now Big Brake options were very limited. No more! TCE has modified some of out Marauder kits to offer resto-modders a full blown 14 and 15" front brake kit in true bolt-on fashion. Check out these simple and effective options and get your stop on today! Now offering both the Wilwood factory kits as well as our own "original" versions to meet the needs of all buyers. 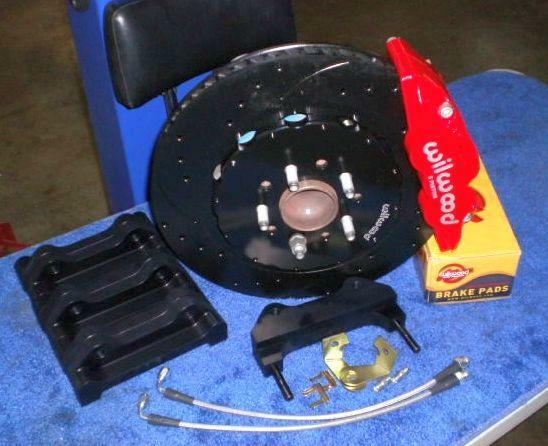 Recently added 1995-2002 steel spindle kits for older vehicles! *If you are using a Panther (Crown Vic) factory rear axle be sure to see our Marauder page for dedicated rear kits to match! APPLICATION: Designed for maximum performance and 18" wheels this kit is a simple radial mount bolt on. Street and track proven products packaged to meet the demands of custom builders. Keeping the same 14" rotor from the Plus 2 but moving to the larger body Aerolite caliper line. NOTES: Please see the wheel fit page for required spoke clearance on all of these kits. APPLICATION: A larger version of the above kit, this monster takes it to a full 15" front rotor. NOTES: Please see the wheel fit page for required spoke clearance on all of these kits. 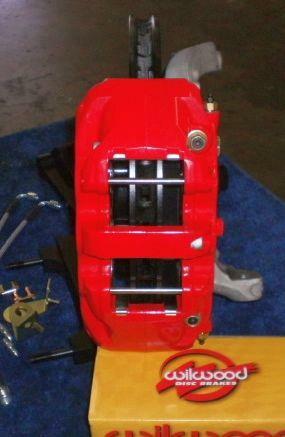 Will require grinding of the stock aluminum knuckle for bracket clearance. No way around it...see image below. Hose kt NOT included due to varying applications. APPLICATION: Designed for maximum performance and 17" wheels this kit is a simple radial mount bolt on. Street and track proven products packaged to meet the demands of custom builders. APPLICATION: Designed for maximum performance and 18" wheels this kit is a simple radial mount bolt on. Street and track proven products packaged to meet the demands of custom builders. The same kit as the Plus 1 but fit with larger rotors.